This a Weekly Report — 4 of don’t know how many to come. This is also a Monthly Report — 1 of 18. First thing first — what are monthly reports now? Well, these are very much like Weekly Reports — only longer, and hopefully more detailed. 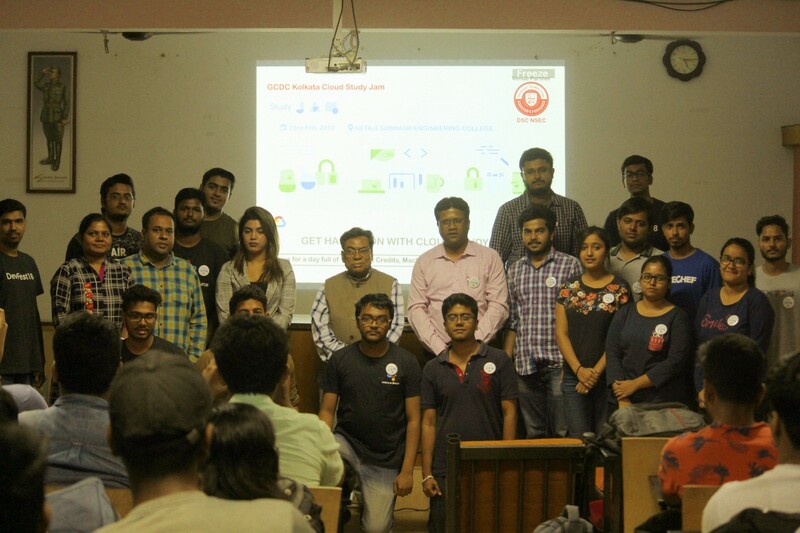 Preparation, more preparation and boom — the first Cloud Study Jam of Kolkata! Monday began with a sad note — student unrest in the college led to being unable to do anything on the day. On Tuesday, while things were still in trouble — we were carrying on the preparations for the event on Saturday in full swing. Had a meeting with the DSC NSEC Org Team — welcomed the new members and explained them their roles. Talked about the introduction of a new initiative — coming soon! The rest of the week passed into a frenzy of preparation and applications to be cleared for the event scheduled on the weekend. Confirmations for the event sent. Awaited the big day. On Saturday, the long-awaited event began with the organizing team, aka DSC NSEC Org Team reaching the venue 2 hours prior to the start of the event. We began with the task of setting up routers for the event, configuring several of them as we anticipated a good turnout. At the same time, all the hall amenities were checked and the remaining arrangements made. The registrations began at 10:30am and ended smoothly. We had our first session presented by Sumitra Bagchi, who is an established freelancer. She was one of the two Cloud Study Jams facilitators at the event and talked about the “Essentials of GCP for ML/AI”. After her session, the lunch break saw the attendees savouring Pizzas and Cold drinks, thanks to the Google team! Post lunch the first session was presented by Anubhav (yeah, that’s me!) who was the second Cloud Study Jams facilitator at the event. 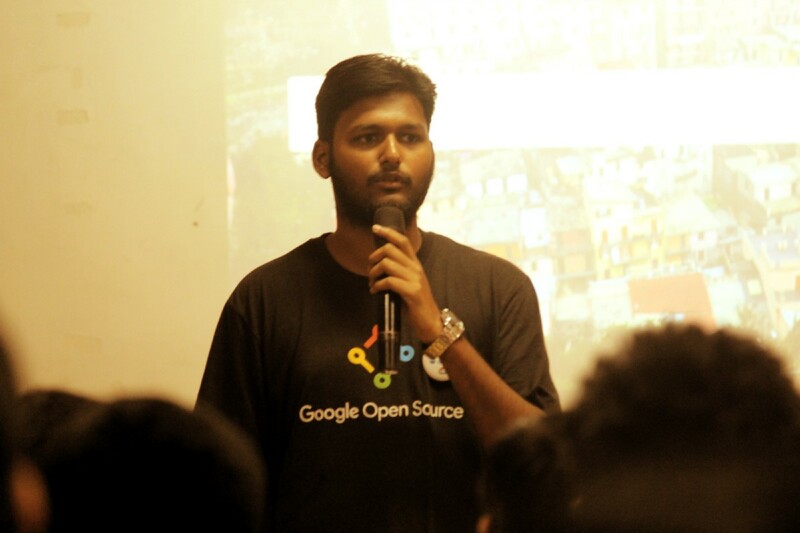 The session was about “Introduction to IoT Core on GCP”. Following, a session on “ML in Marketing” was presented by Debashree Chanda, who works as a Digital Marketer at GeekMonkeyStudios. A demonstration of the “Intel IoT Kit” was presented by GCDC Kolkata lead, Abhishek Nandy who is an esteemed alumnus of the college. His session left the attendees on the edge of their seats with the demonstration of real-time age and gender prediction through camera feed. A final session was presented by another beloved alumnus of the college, Sayak Paul. He talked about “Introduction to DataCamp for Academics”, the program which allows students enrolled into institutions to take free DataCamp courses for a term of 6-months. The turnout of the event was at nearly 150 developers with nearly half of them representing other colleges and professional institutions. Well, this was our very first large event. There will be many, many more ahead! It is not often that I look good in photos. And not very often I remember wearing a watch. Whoever captured this was lucky to find me in a rare instance (Cloud pun intended).